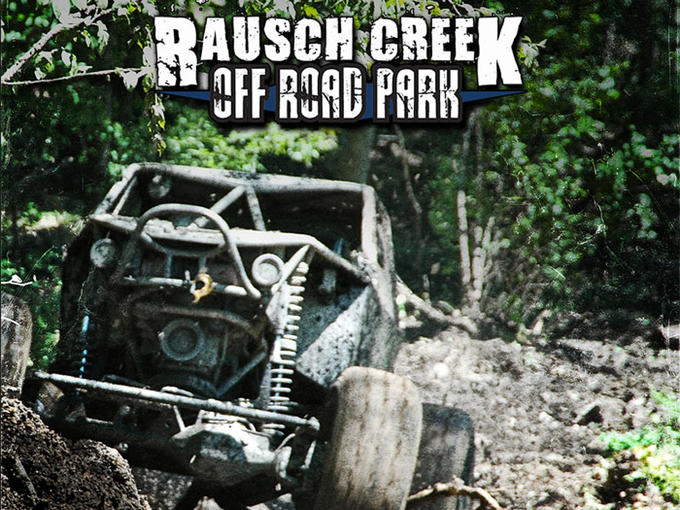 Mark Lecher at Rauch Creek Off-Road wrote in to tell us how much he’s enjoying using RaceSplitter to time his events, and pointed us to a review he posted for other event organizers. Mark gave us permission to re-post the review here. Thanks, Mark! I have been the time keeper at Rausch Creek for the RCQ the past 4 years. This year I used a new software program and I wanted to give a review in the event that anyone else was looking for some timing help, or considering using something to time races. The details of the race are here and this write up is for the software that was used to create the race specific data at that site. For the past 3 years, I, with the help of other Rausch Creek staff, have used Microsoft Excel to keep track of times for the RCQ. Subsequently, RC has used the same method to keep time for their race series. This has worked well, but it was also not the easiest thing to do to make sure that the times were accurate. We had to write down times, input them into the spreadsheet and wait until the end of the event when we could post the results. It was not easy to provide a true situational awareness of the race to the marshals and fans alike. This year I found an application called Racesplitter that I bought and tested a few weeks ago, and made the decision to try at RCQ. Kim (the sister of Kyle from Rausch Creek) also kept time the old fashioned way so that we had a back up in the event Racesplitter did not work out. Racesplitter has an application that works on iOS (iPhone/iPad) devices. The application is used for the actual timing, and there is an online component that allows for near real time updates to be published. Racesplitter can be used only on the device, or in conjunction with the online companion piece. We used the whole solution. Racesplitter has an excel template to allow you to create your start list and then upload it to the web. The start list could also be built on the device, but it was much easier for us to do it all via excel since we already had the racers in a spreadsheet. We did qualifications on Friday, and used those results to build our start list. Once built, you save it as a csv file, and upload. You do need to have an account on Racesplitter to create your race (it is free). Once your race is completed, with all the attributes (type of race, duration, type, etc…) you save it and then publish it. The website will email you the configuration file for the device configuration. You open the email on your device, and tap the config file and the whole race configuration is loaded into the Racesplitter iOS application. We did note one small problem with the upload. The race configuration was a 2 up start, with 30 second start intervals. In Racesplitter terminology that was a wave start, so each row was entered as a separate wave and the 30 second time difference was input. Once uploaded, the software did a secondary query on the waves, and ordered the racers according to the bib number (Racesplitter terminology for team/car number). This had the effect of swapping some racers in their start order in their wave. They would remain in the correct wave, but it would look like one car was qualified above the other. It had no impact on the race because we ensured we lined the cars up correctly based on the start order (the odd numbered starter would be the pole position for each wave start). Once the green flag dropped, each wave would have the same start time. Here is where we encountered the second oddity. We set the race up to start automatically, but the application still required us to ‘swipe’ the idevice to start the race. We had always had the policy to start exactly at the race start time to make time keeping easier, for example, the race start was 10 am, so the exact start time in excel was 10:00.0 We missed the swipe by a few seconds, so the racesplitter start time was closer to 10:00.3 No big deal, but if I had not tested it, I would not have known that an auto start was not a true auto start. Once the race starts, there is a timer at the top of the app that shows the running time. We had to use this to start each wave. It would have been nice to have a countdown timer to each wave (which did start automatically every 30 seconds). This RCQ was set up as a 4 lap race (3 laps for stock/mods). In Racesplitter terminology, a lap is a split. A split could have been a checkpoint on the course somewhere too, but that is not what we did. In the future, we may set it up that way, as it is possible to have multiple iOS devices timing the same race, but I have not tested that yet. Each time a racer comes into the start/finish, you tap in the car number, and the racer name comes up. Once they cross the line, you hit record, and the time is recorded. The application automatically compensates for the adjusted start time, so you can begin to understand physical position, and adjusted position. After recording the time, you can tap post, and it will post the times to the internet. I pretty much posted immediately after each racer hit the line, except for the few occasions where there was a group of racers coming in as a group. When you hit the record button, you do not need to keep track of anything else like the lap for instance. It will do it for you as it assumes that the split is for the next sequential number. This was helpful when there was a group that came through towards the end. One car would get the white flag, the other the checkered flag. Adjusting for the start time was also key. You could type in the car number before recording, which we could do because we had a spotter up the course on the radio to us. Towards the end of the race we could see where the time adjustment was impacting the official finish order. Specifically, when 4343 was nearing the finish, we tapped in his number and could see him placed above two cars that had already physically finished, and we could see the time remaining to stay in that position. With 4343, we saw immediately that he captured 10th place by 38 second. We could never do this before and it was key. I was not on the chat, but anyone watching the race could refresh the racesplitter.com link to see exactly what the times were. And they were as near to real time as you could get. There was about a 3-5 second time to upload from my iPad, and there was about a 10 processing time on web side from when they received the time to when it was available to view. So the near in near real time was less than 20 second. Which I think is pretty impressive. Once the race is finished, you hit a ‘finish race’ button, and it will process the race as finished. It will take the last and highest split time (4 for this race) and make that the finish time, so you will see the online details move from split 4 to final. Anyone not finishing 4 laps will be given a DNF. Anyone not finishing one split will be designated as a DNS. All the finish times are automatically adjusted for start time. I am using the latest version of Racesplitter, version 1.4. I did my initial testing on an iPhone 4, using both wifi and 3G. Subsequent testing was on my gen 1 iPad using wifi. For the race, I used my iPad with 3g for data uploads. The 3G was fast for the small data packets that I was uploading and there was no noticeable differences with 3G v. wifi. For the data upload, I used a typical excel spreadsheet on a windows vista computer (my race beater laptop). Nothing special really. I think the application is great. Besides the few problems noted above, we did also notice that when viewing the website through a mobile browser, you could only see the highest split. Being able to query on a previous split gives the user the ability to see how many laps their favorite car is. I have told the developers about it. This application is well supported. After purchasing it through the iTunes store, I had multiple email exchanges with the developers and they gave me helpful hints on work arounds or to just answer questions. They have been very supportive in helping me understand the application. Much more so than any other iOS application I have ever bought. I will be very interested to test multiple devices timing the same race. The drawback here is that Racesplitter is only for iOS devices, and there is no plan for them to develop an Android application. Overall, I am extremely happy with the application. When doing timing for RCQ, each year we have gotten better. After the first year, I was close to decking Dave Cole because he was asking questions I could not answer during the race. Each year, Dave has yelled at me less and less, with it only happening once this year. I was able to answer any and all questions he had very quickly, and even provide some information before he asked. I went home from the race relaxed and not pissed off, which made my wife very happy. In the past, I left the race thinking I was glad I did not have to see Dave for another year. This time around, I would do another of Dave’s races next weekend. (Dave– You know I just busting on you…. not really, well, yeah, I am just busting). So, this is a long write up. How many times have you said to yourself, “dude, how much?” Well, let me say that it is far and away the most expensive thing I have purchased from iTunes.